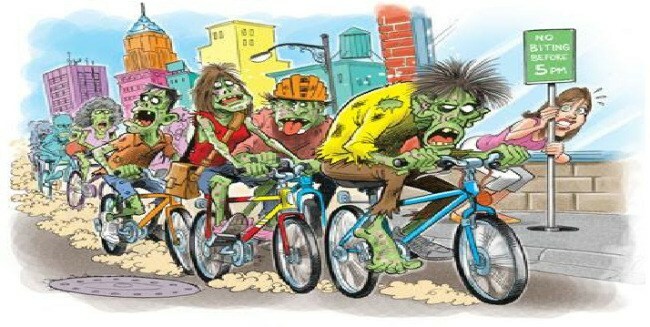 Come celebrate zombies and bicycles! Dress up like the "walking dead" and ride your bike through the Magic City. This is a social gathering for like minded zombie enthusiasts, everyone on the ride must be in a zombie costume! This is an easy pace ride, distance is an estimated 15 miles with one stop for beer and drinks. Bring front and rear bike lights. Follow the ride leaders and stay together as a group.